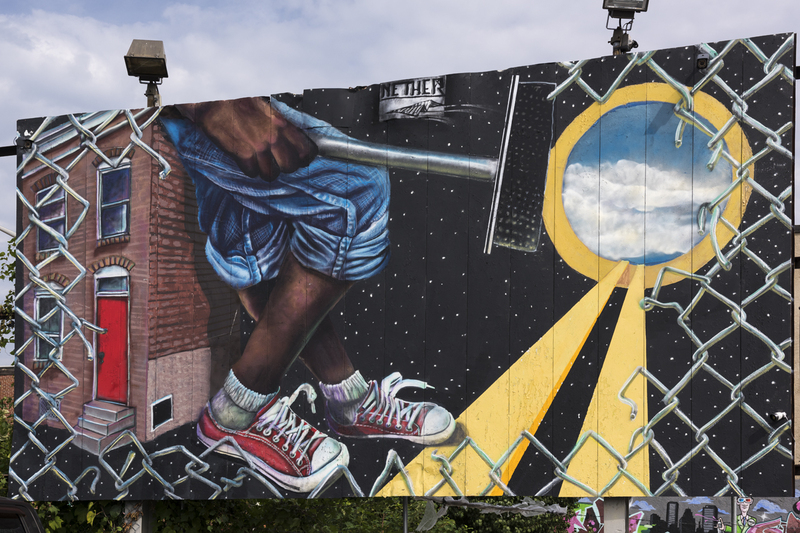 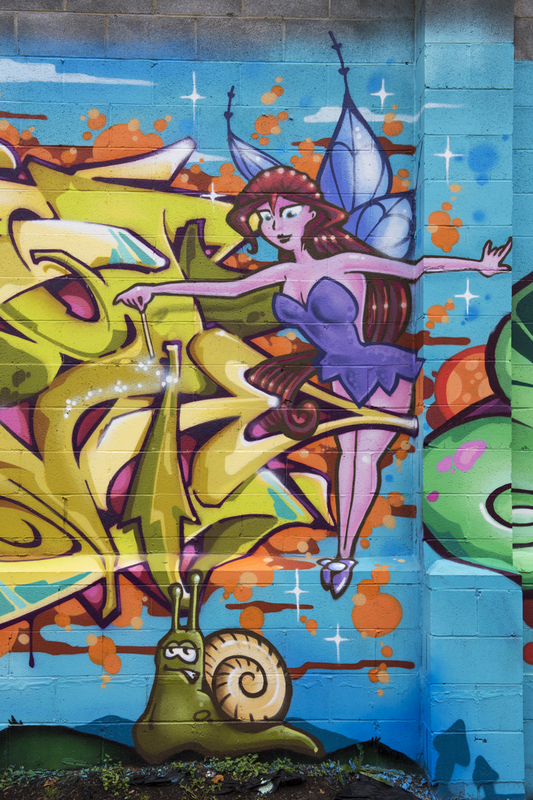 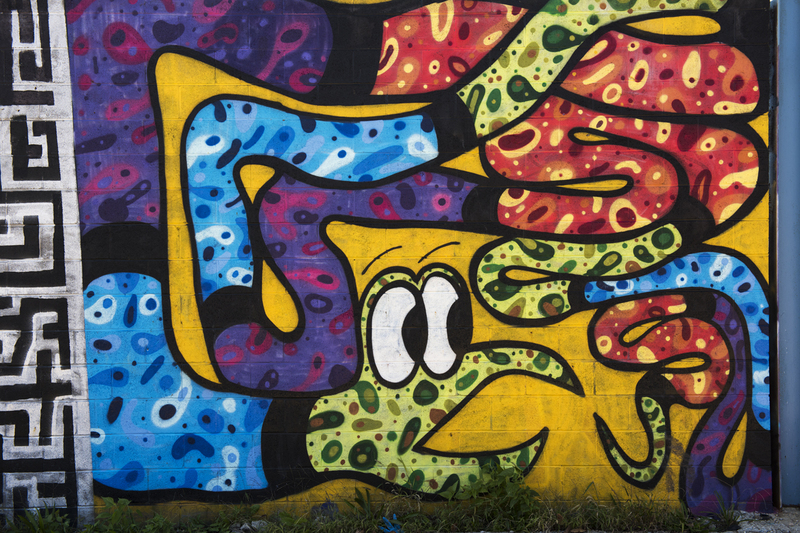 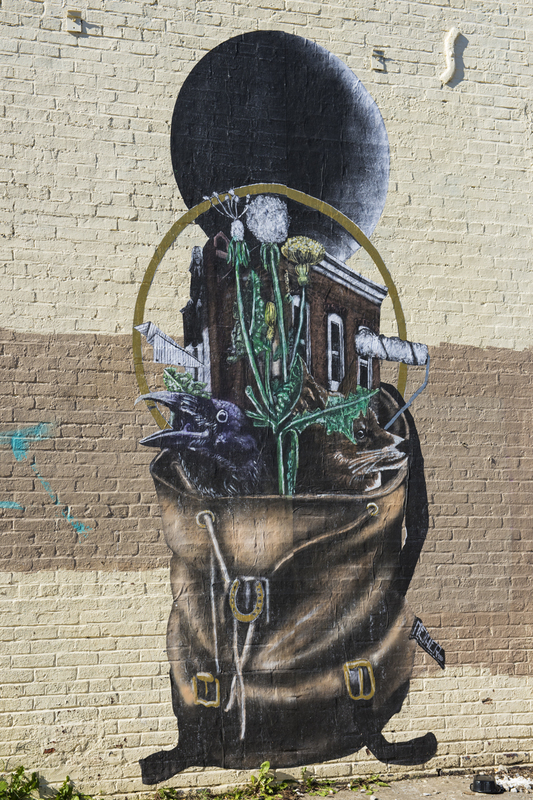 There are seven intriguing new murals around town. 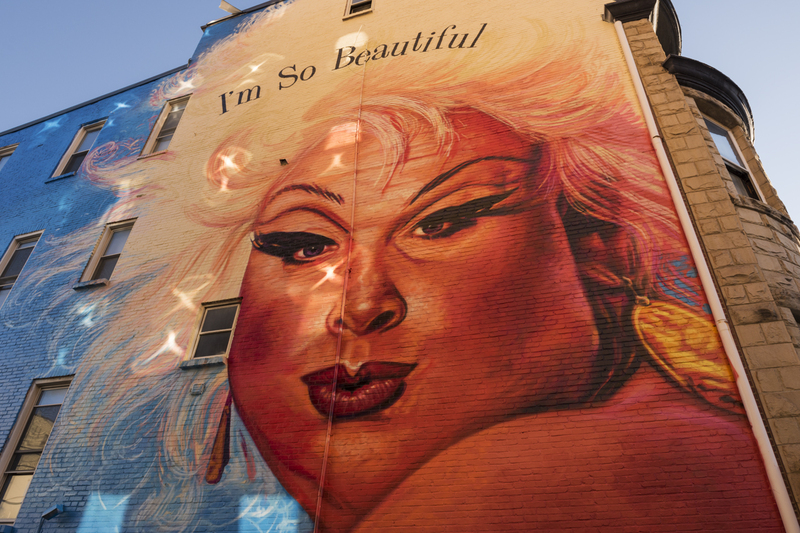 Gaia painted the captivating Divine (I’m so beautiful), and she now reigns in all her glory at 106 E Preston St. 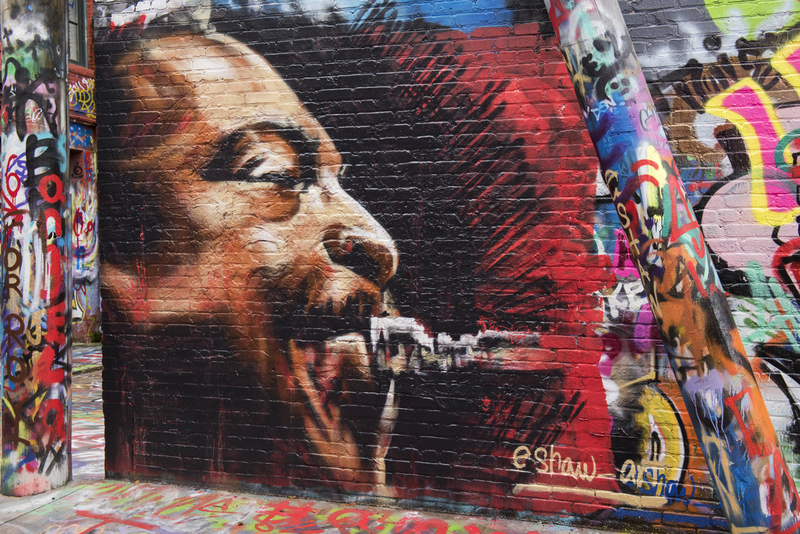 In Graffiti Alley Ernest Shaw, Jr. created a touching tribute to Grammy-winning jazz musician Roy Hargrove who passed away last week. 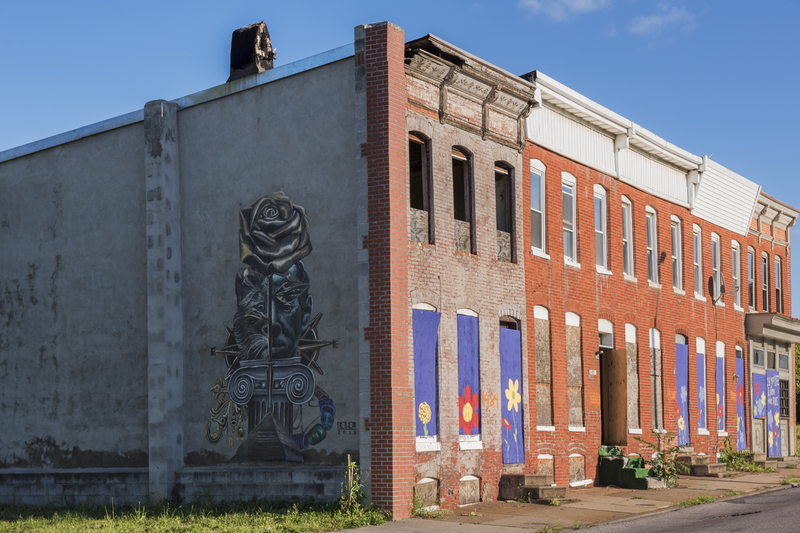 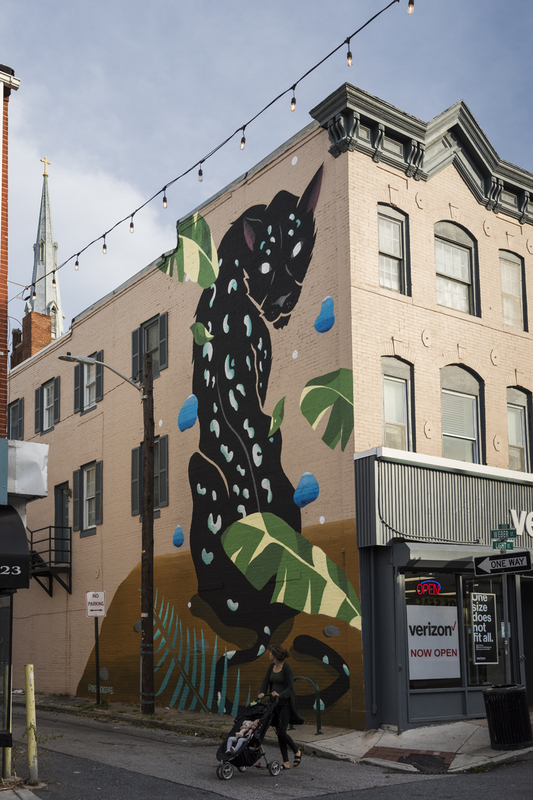 At 1125 Light Street in Federal Hill, the renowned Spanish artist Sabek crafted a three-story tall black leopard who peers down at passersby. 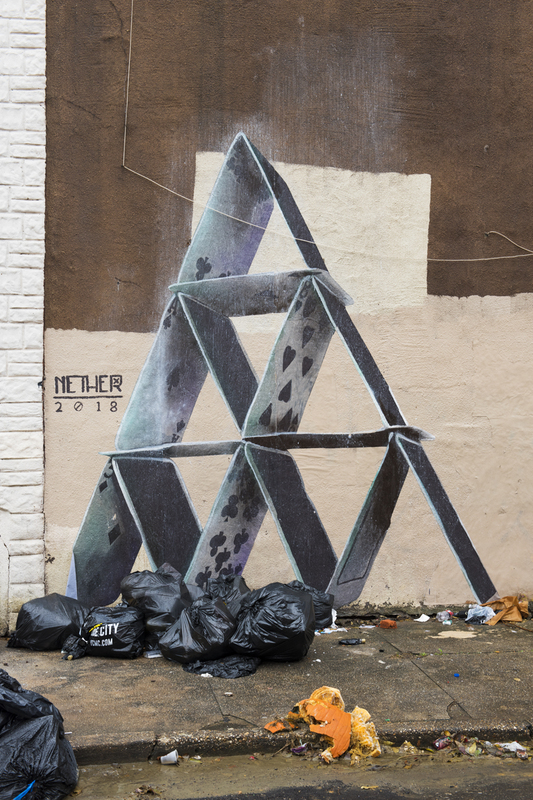 Nether created four different art works: Squeegee Kid on N Howard Street; the House of Cards and The Weight in Sowebo; and an animal/man hybrid at Gay and Wolfe Streets in Broadway East. 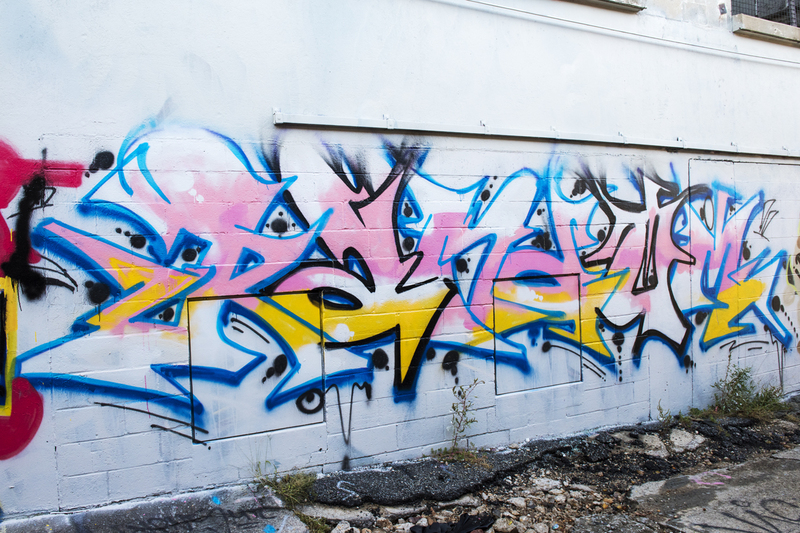 Wonder how he found time to get ready for his spraycation in England. 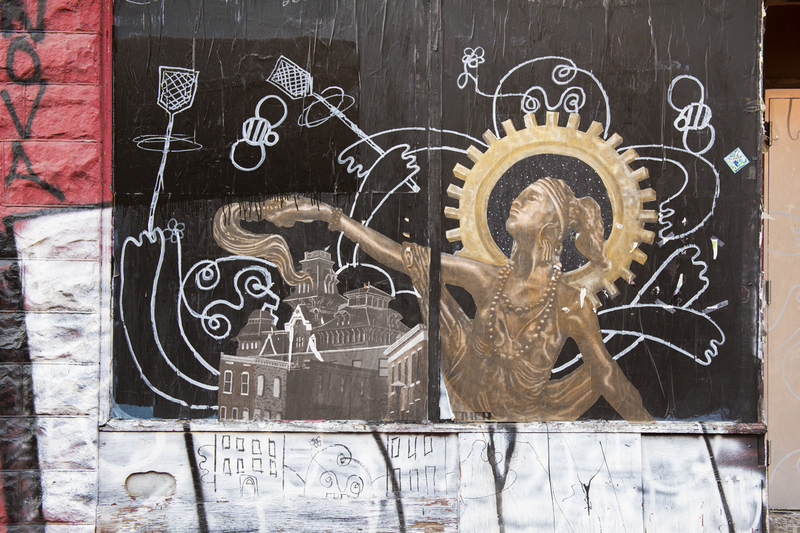 The star burst reflections of light enhance Divine’s universal appeal. 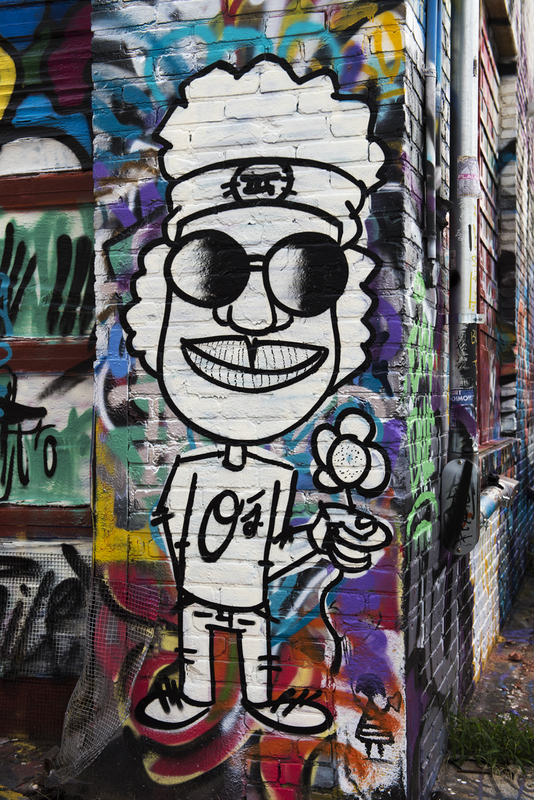 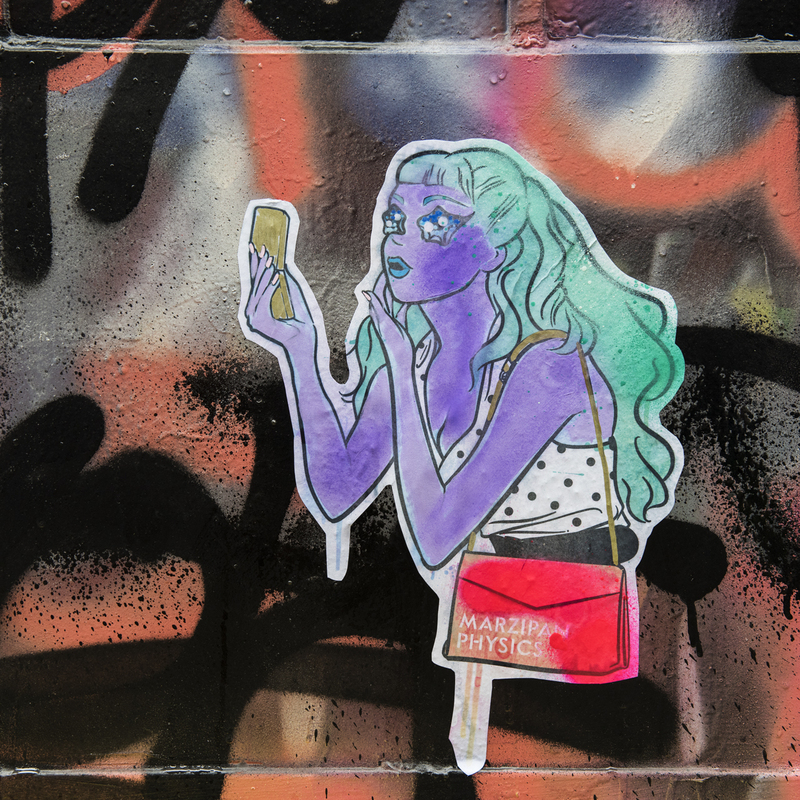 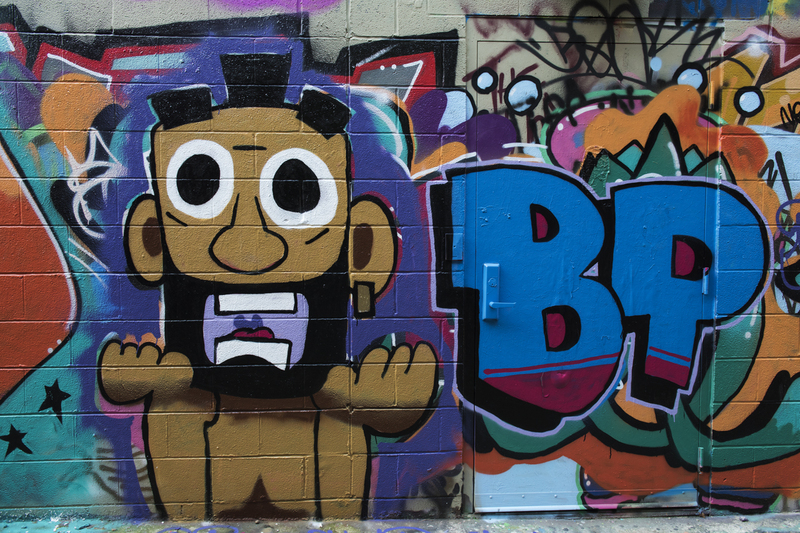 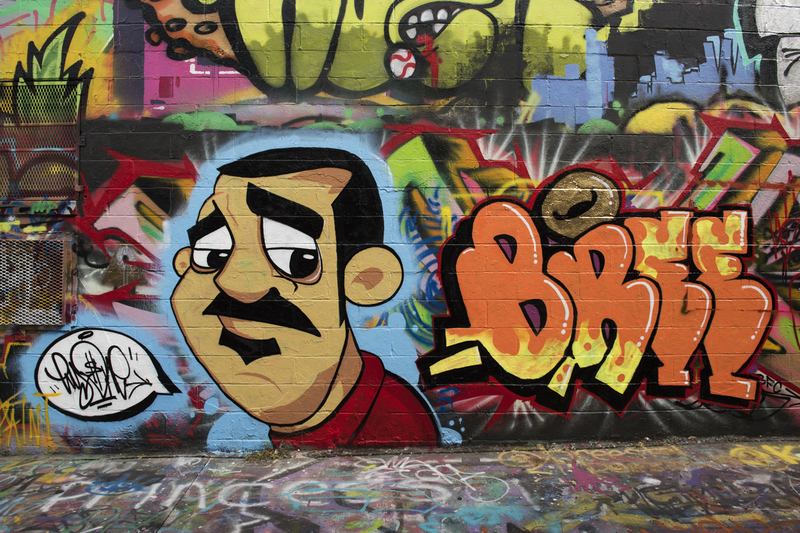 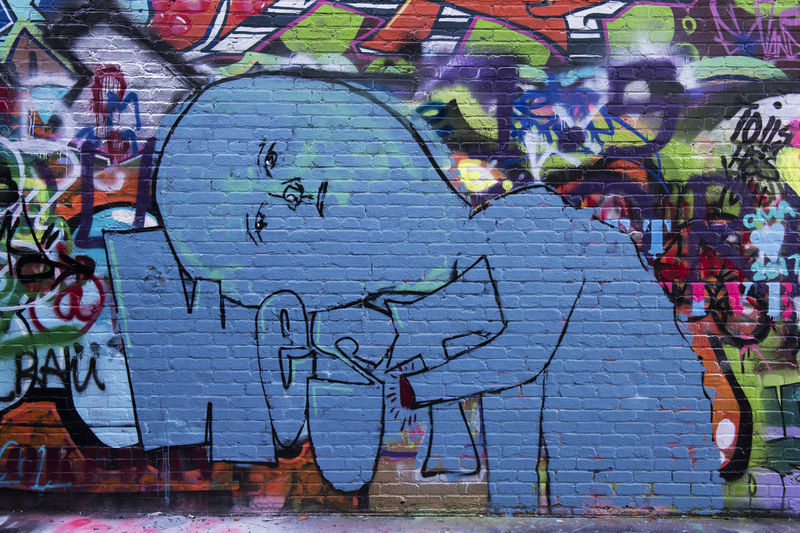 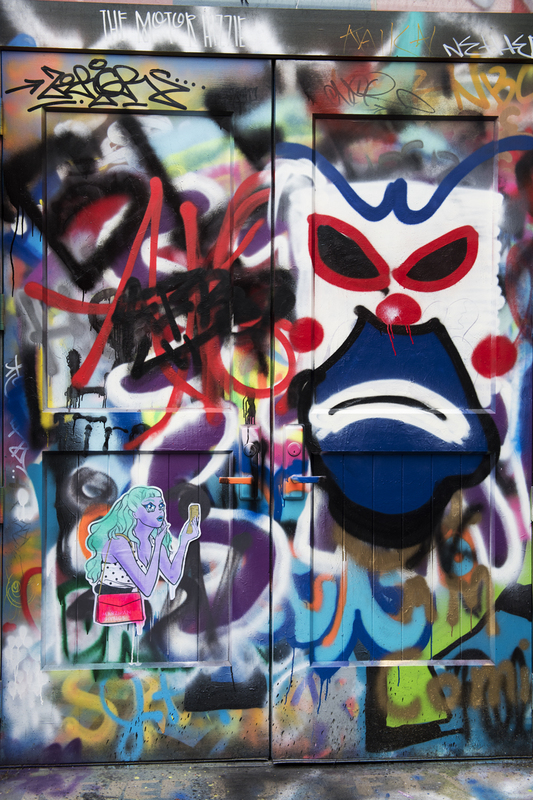 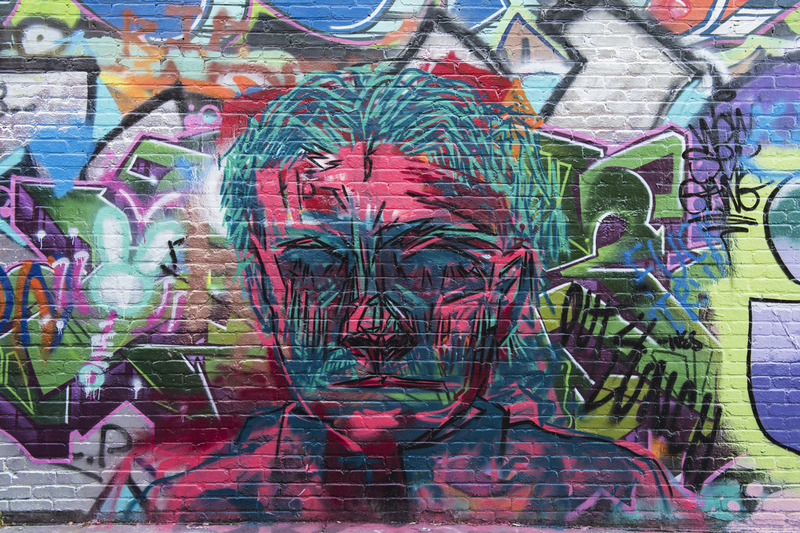 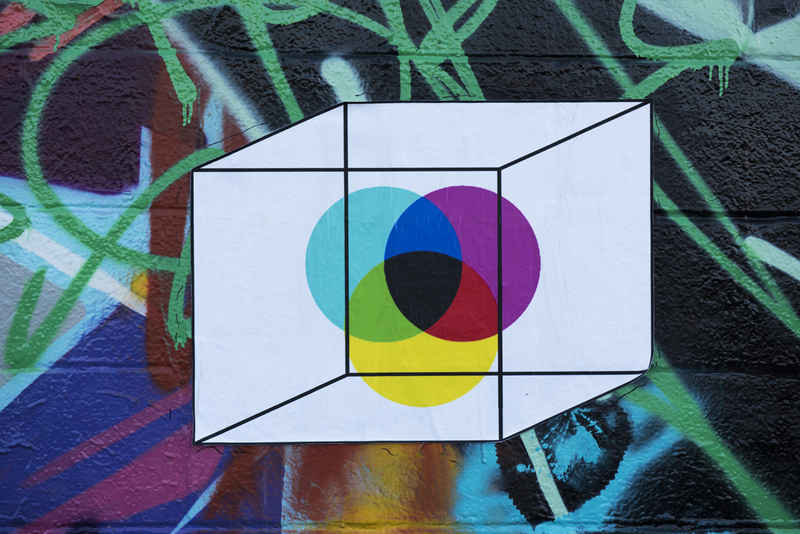 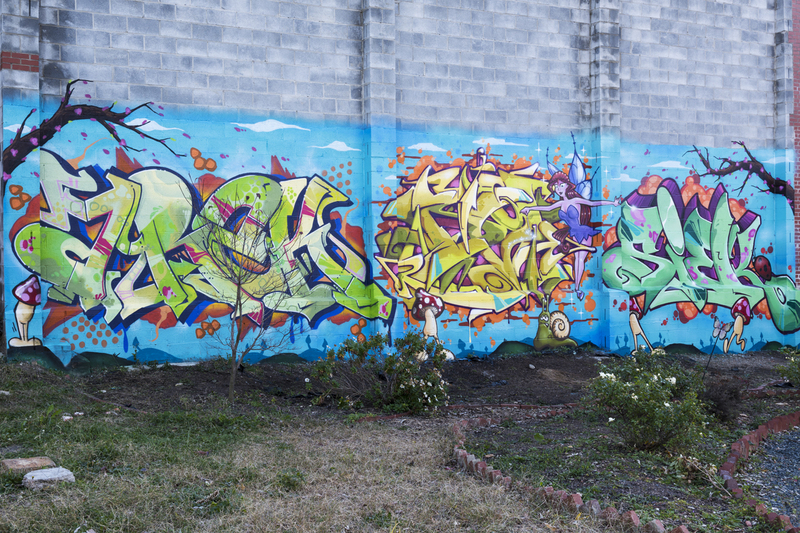 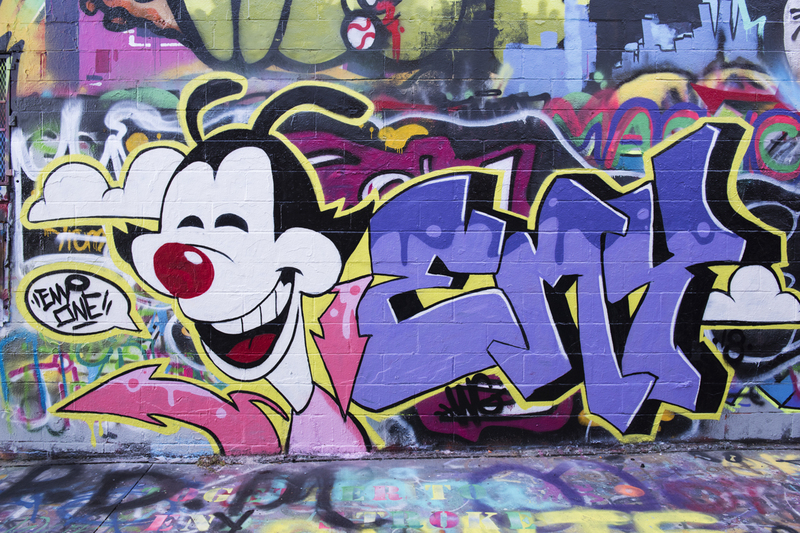 The NYC-based street artist Marzipan Physics visited Charm City just the other day. 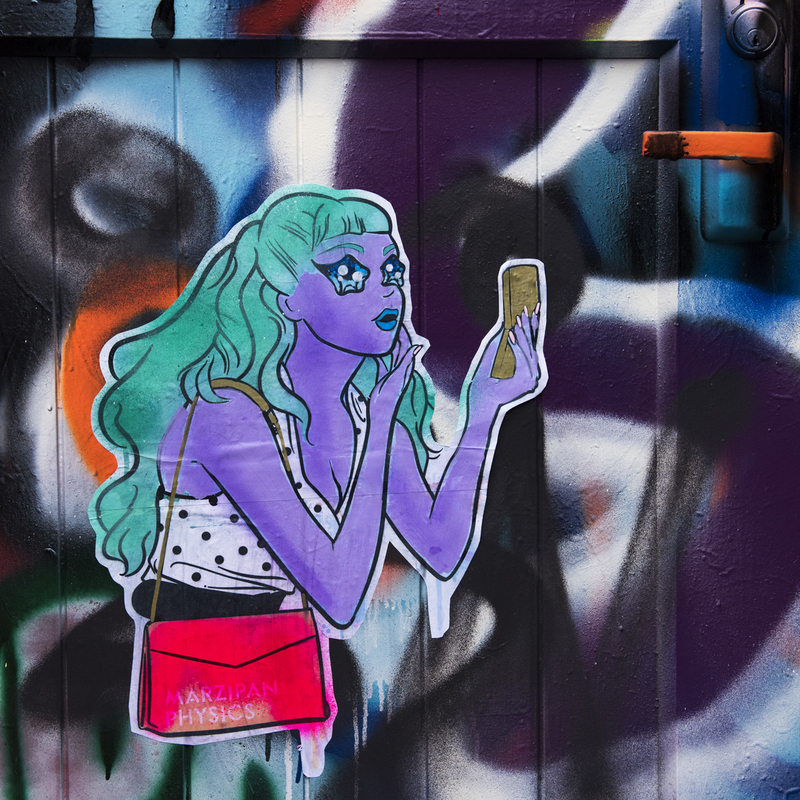 Her artwork is literally out of this world because her delightful wheatpastes feature the intergalactic adventures of alien physicist Marzipan. 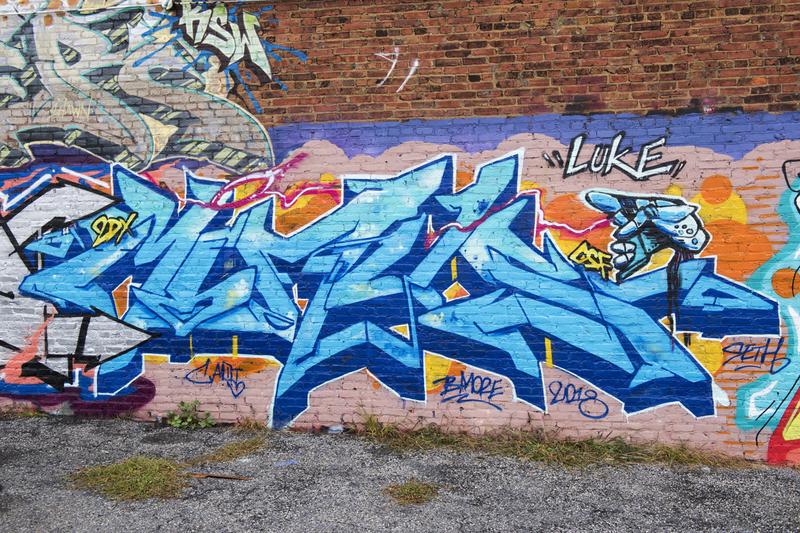 2DX crew members Dek, Minus and Sans left smokin’ hot burners on Bay Island Seafood in Sowebo. 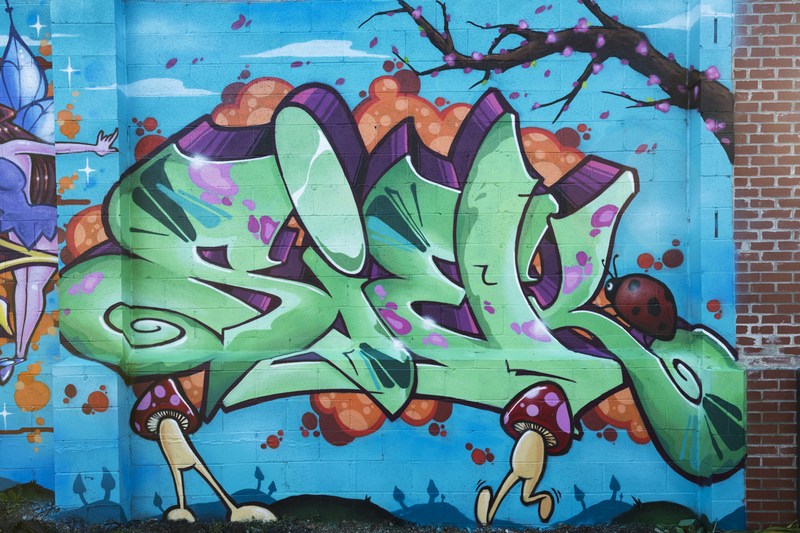 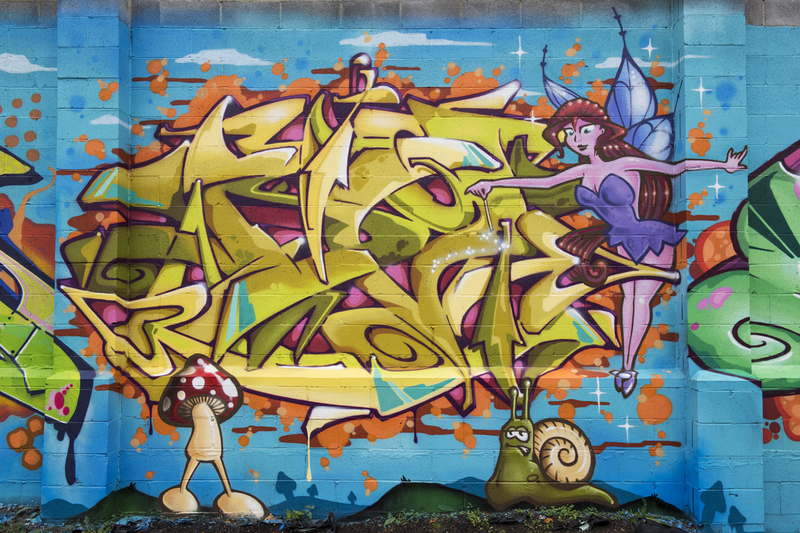 Legendary writers Arek, Daver and Siek cultivated an autumn garden thanks in part to a sprinkling of fairy dust. 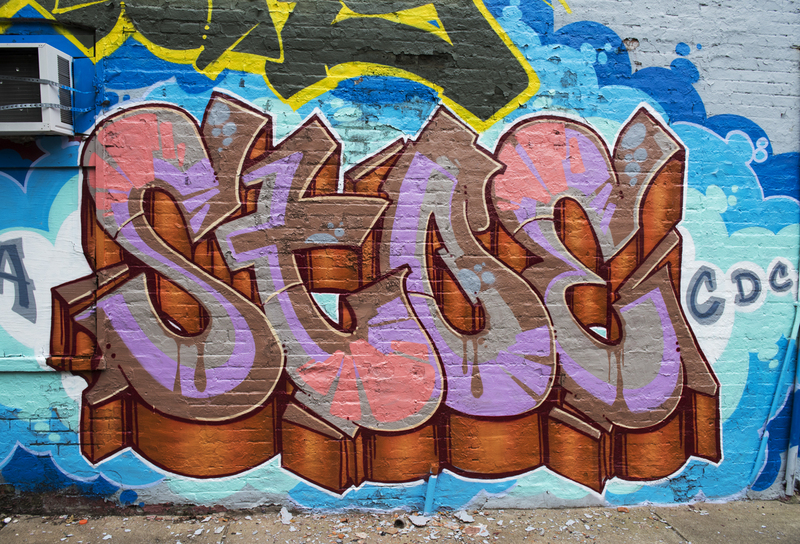 Check out the dope color scheme, sharp lines and 3D effect of the spectacular new burners from Arek, Stoe and Penr. 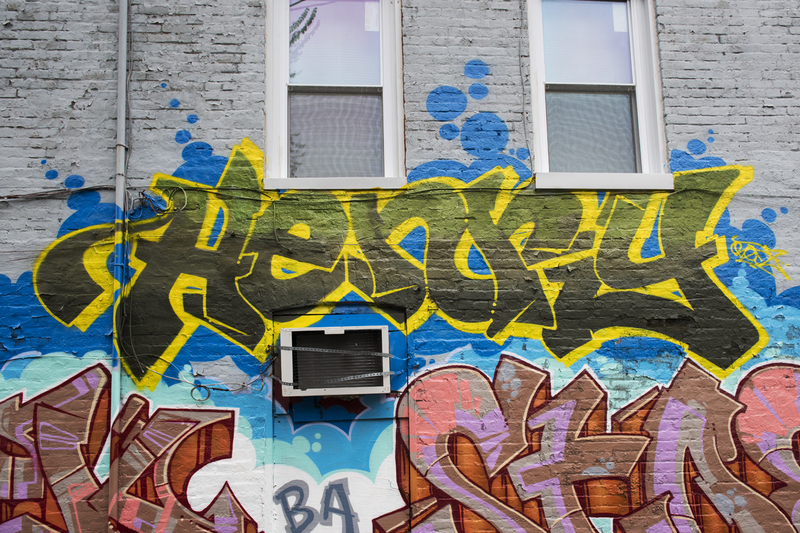 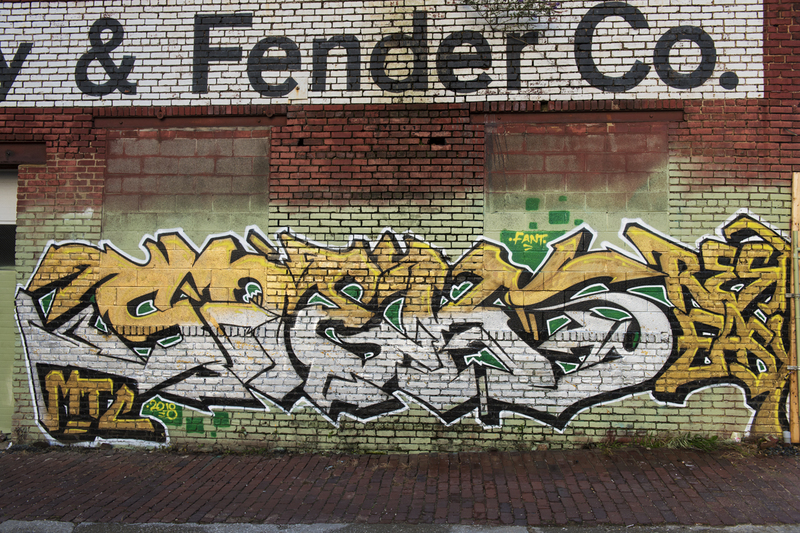 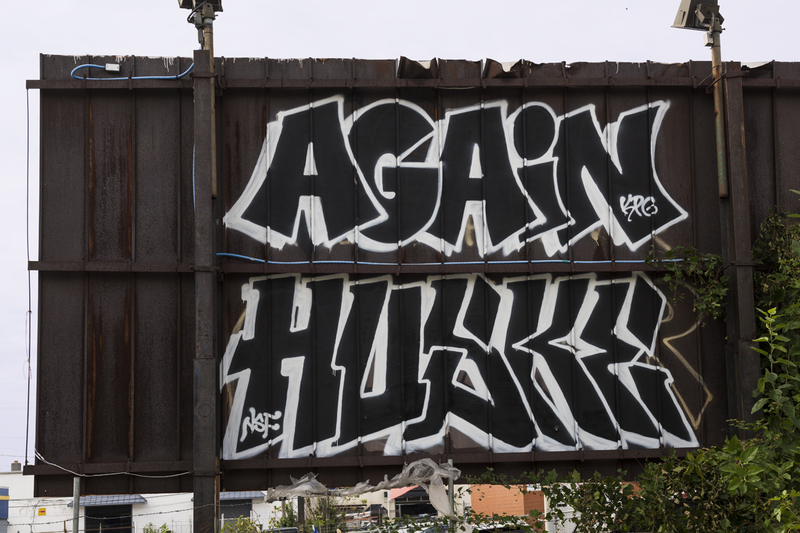 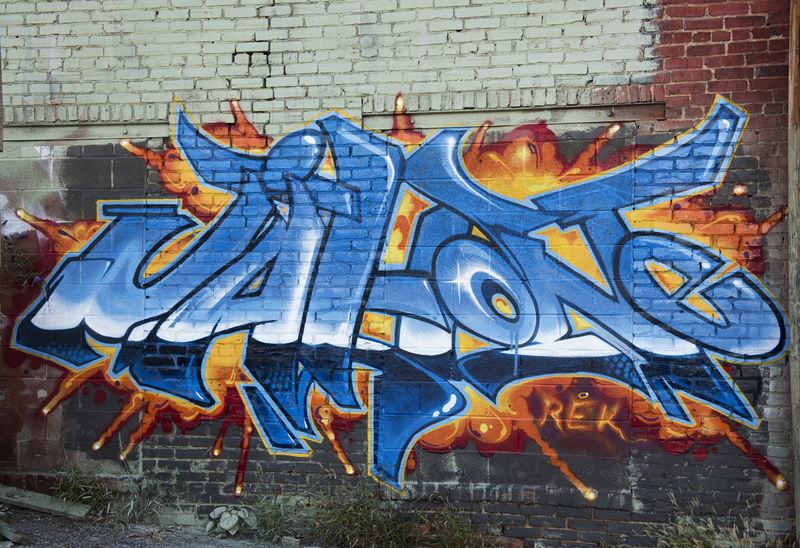 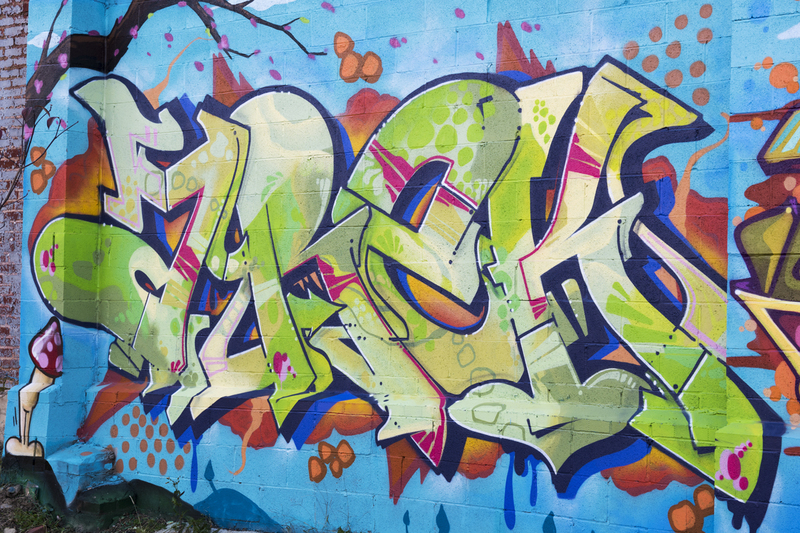 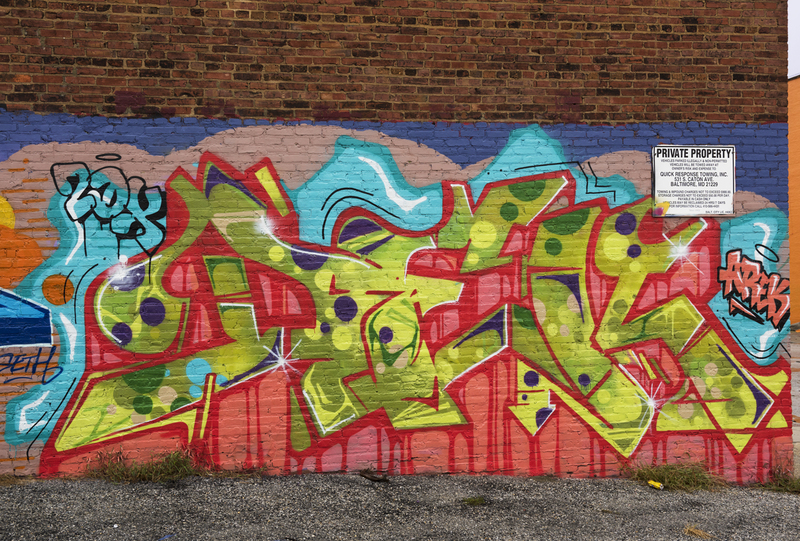 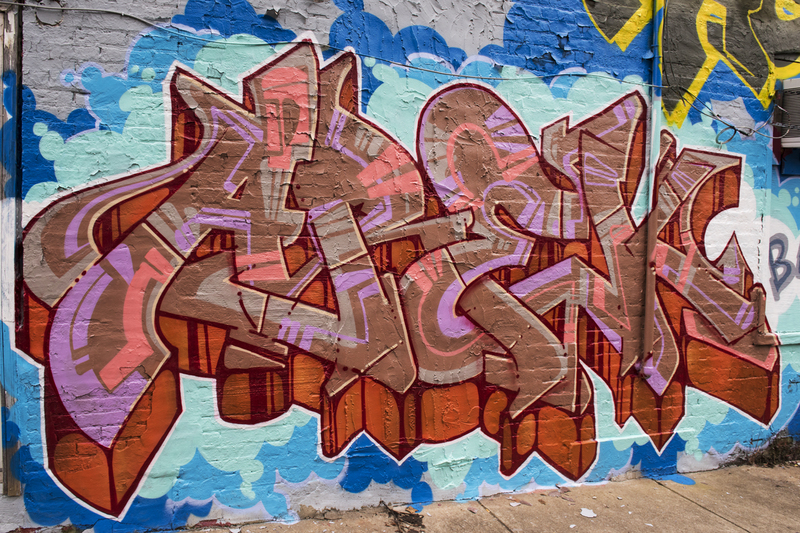 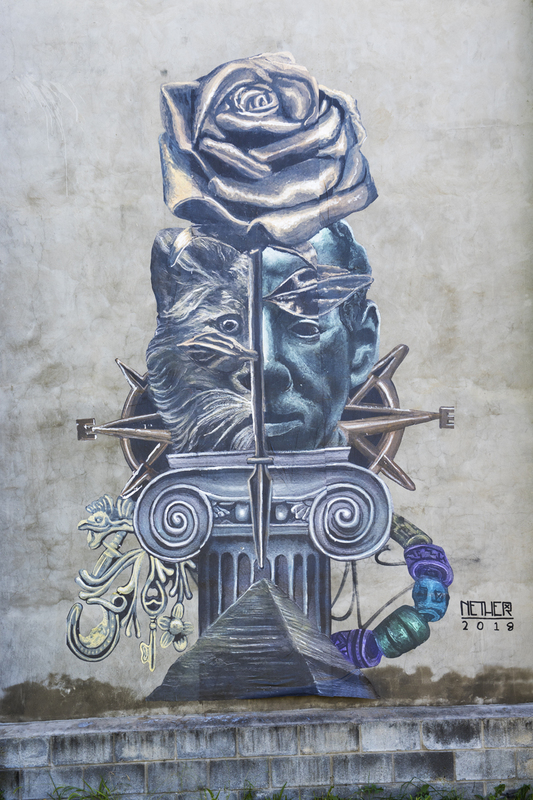 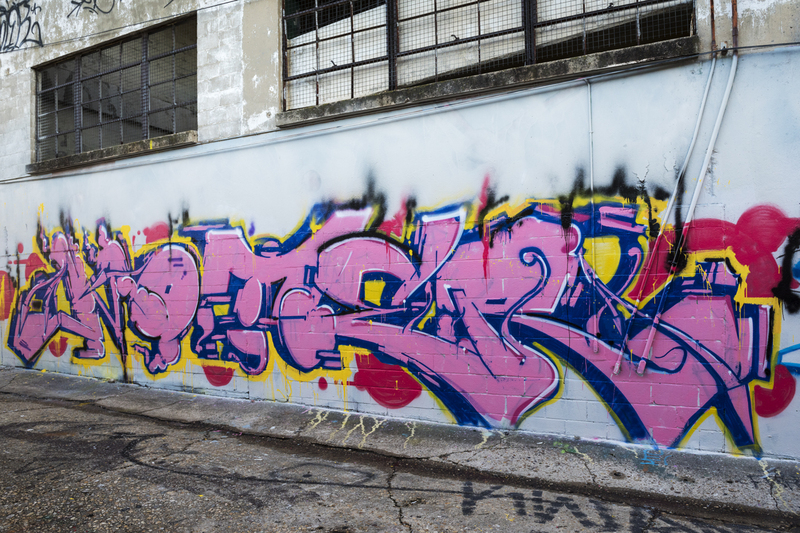 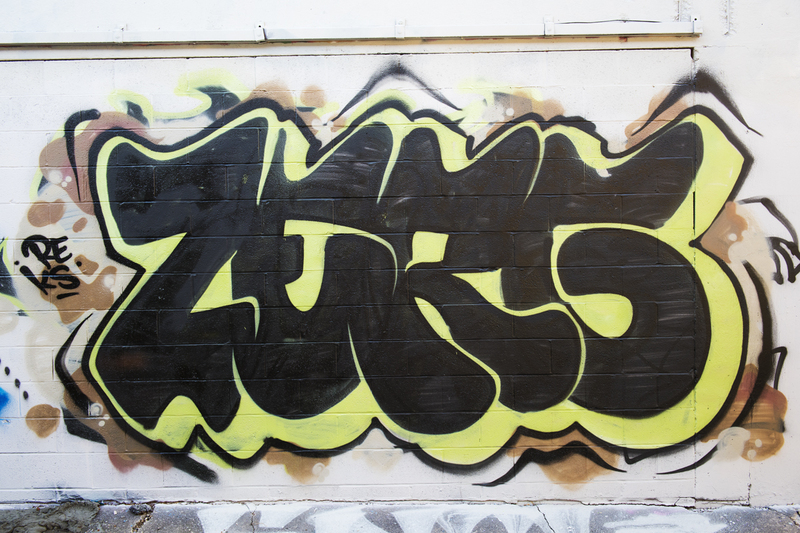 Their wall honors Henry, the building’s former owner, who regularly offered Arek his building as an aerosol canvas. 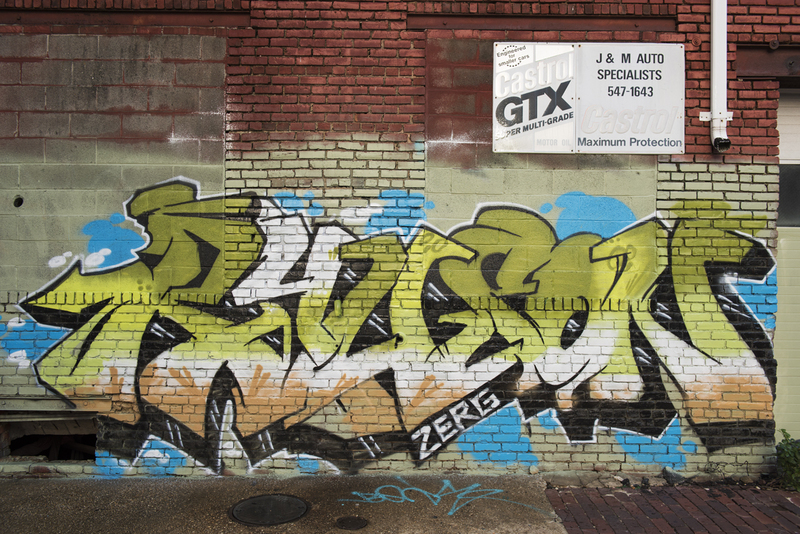 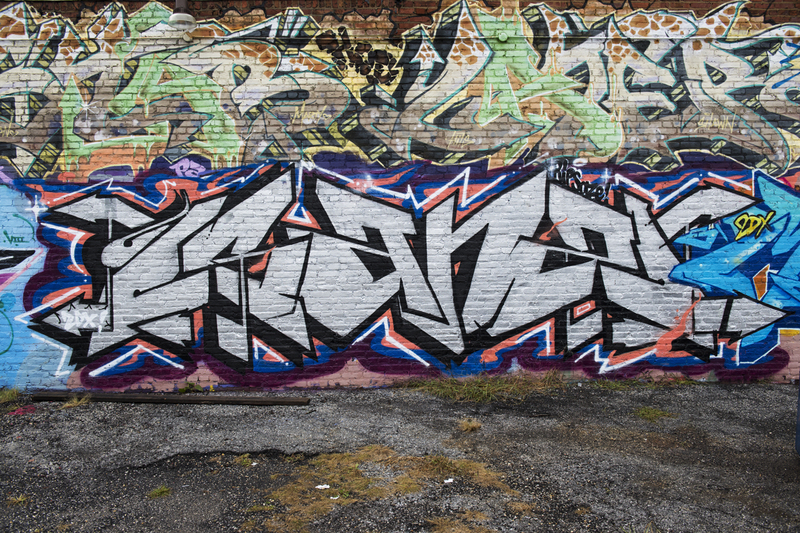 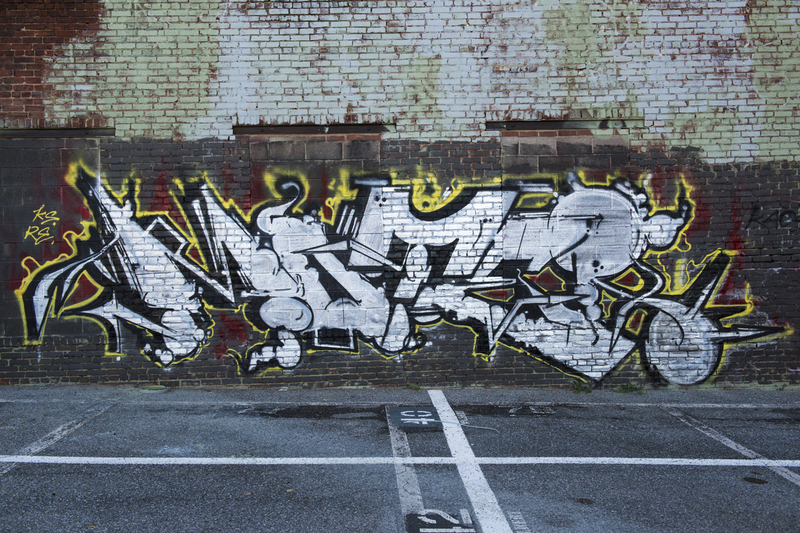 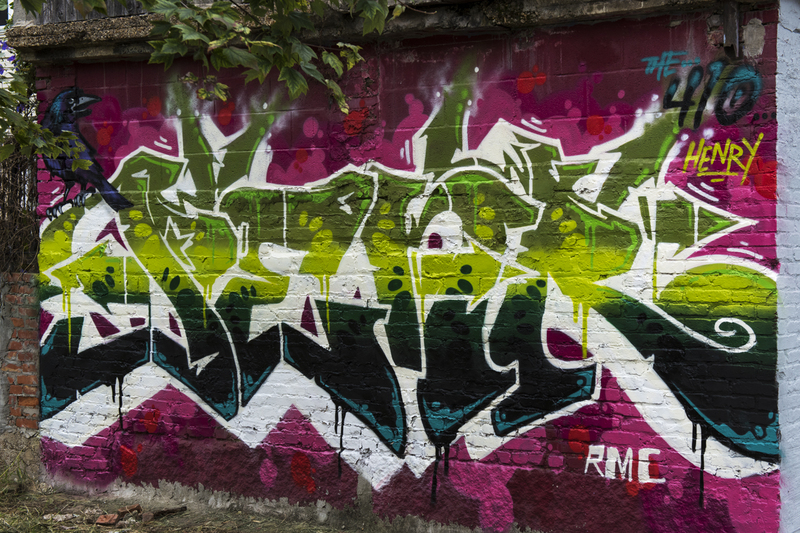 Other dope graffiti writers were equally busy around the city: Again and Huske; Jahone, Mawk, Mizta and Moter; and Moter, Random and Zerg. 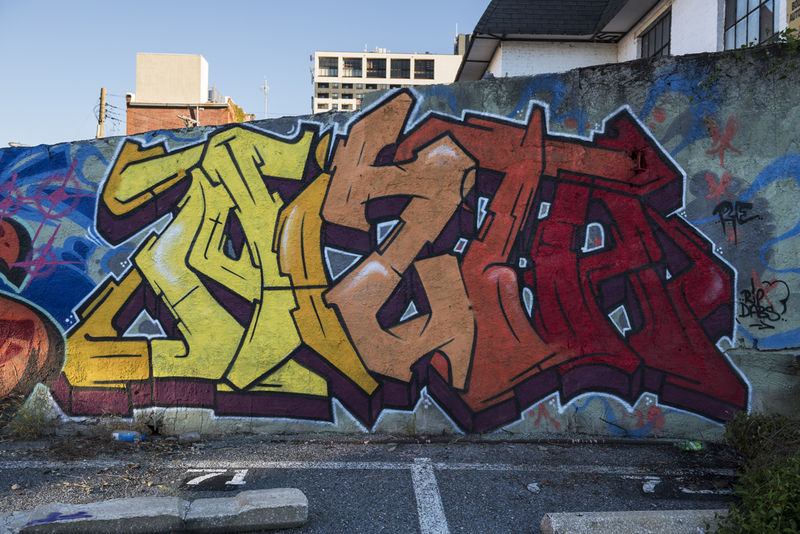 Light conditions finally cooperated, and I captured a colorful piece by Chris Smith. 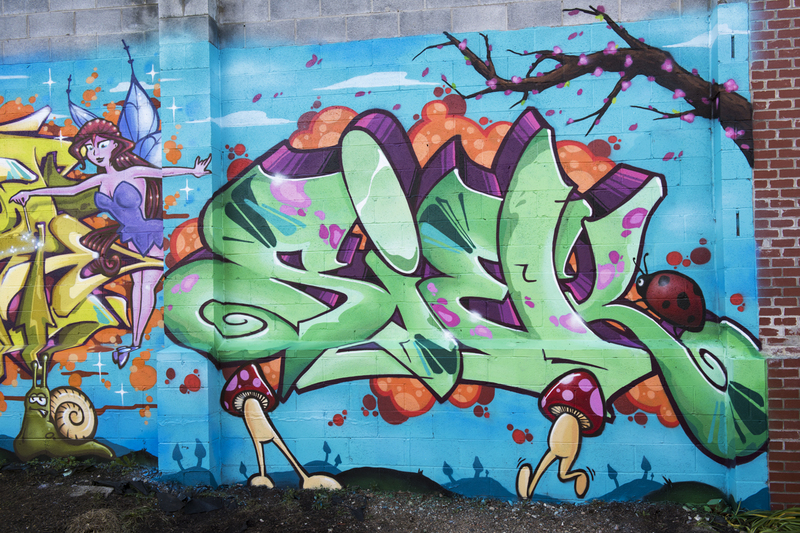 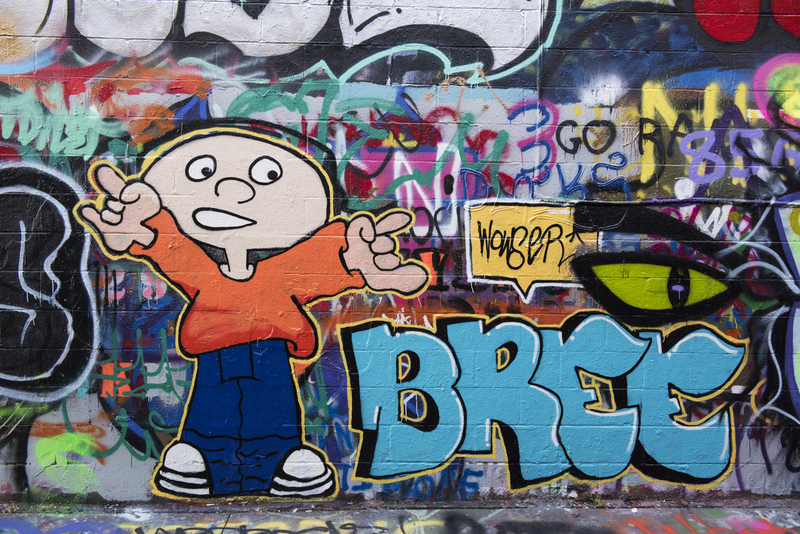 Artwork by West, Bree, and Eny brightened up Graffiti Alley. 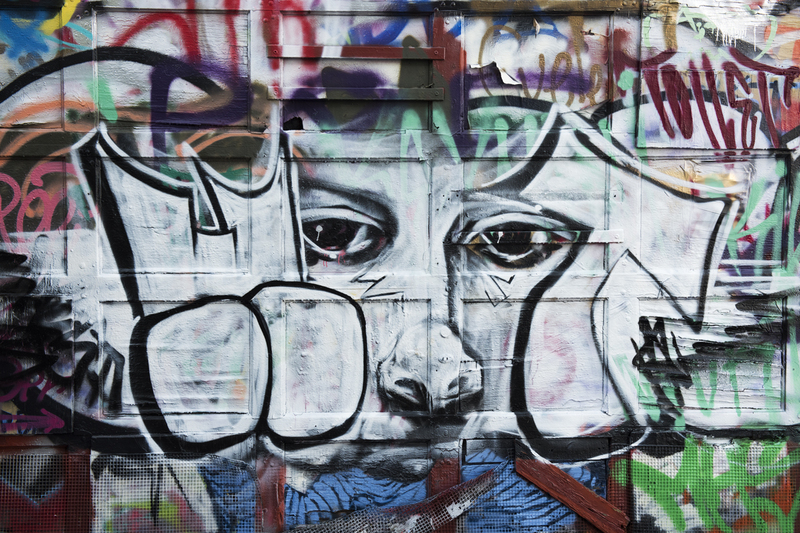 If you have not already done so, see the reports I published of my recent photo tours of Brooklyn and Lower Manhattan.